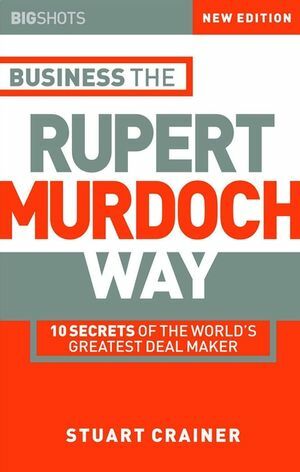 Now brought completely up-to-date for this new edition, Business The Rupert Murdoch Way not only reveals the secrets of Murdoch's remarkable success but also draws out the universal lessons and identifies strategies that can be applied to any business or career. From thriving on risk to hard selling, and from loving the detail to betting big on the future, Business The Rupert Murdoch Way is a fascinating insight into what it takes to create a global business empire. STUART CRAINER is co-founder of the media content, concepts, and consulting firm, Suntop Media. He is the author of numerous books on business, including The Financial Times Handbook of Management, The Ultimate Business Library, The Tom Peters Phenomenon and Business the Jack Welch Way. The Life and Times of Rupert Murdoch. One: Go with the Flow. Two: Goodbye Mr Nice Guy. Four: Lead from the Front. Five: King of the Nitty Gritty. How to Succeed Like Rupert Murdoch.